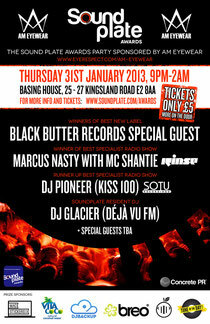 On January 31, Soundplate and Concrete PR team up to bring the Soundplate Awards Party at East London’s new club destination, Basing House. 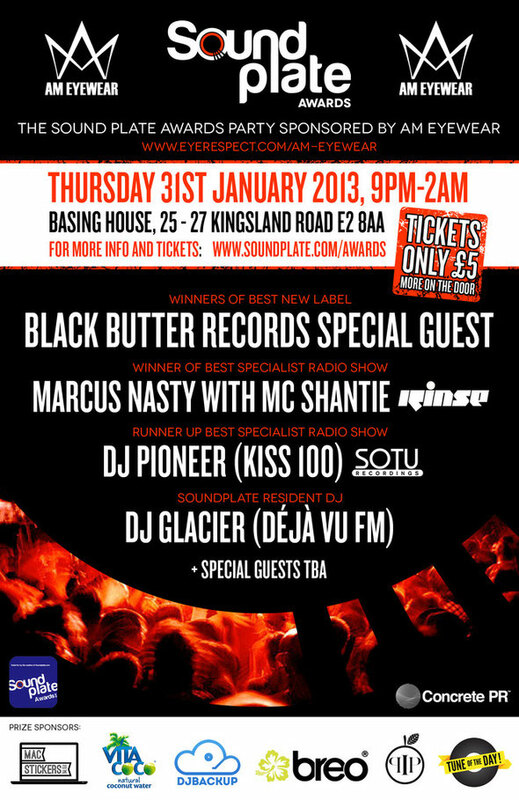 The DJ line up consists of DJ Pioneer (Kiss 100), Marcus Nasty (Rinse FM) with MC Shantie, with Black Butter Records providing special guest DJs. With a number of sponsors involved the awards will be providing the winners with a range of prizes to kick off the year in the best way possible.